Enjoy a relaxing holiday in sunny Spain. Our holiday house is in a delightful holiday location with a large communal pool. It contains 2 bedrooms, one bathroom, spacious living/dining room with adjacent kitchen. The communal pool is only a few steps away from your holiday house. Shops, bars and restaurants are all nearby and can be reached on foot. Bed linen and towels are provided in the house and are included in the price. From Alicante Airport it’s only 50 km. From San Jafour Airport (Murcia) 25 km. To get to Torrevieja it’s best to travel by car or by bus. 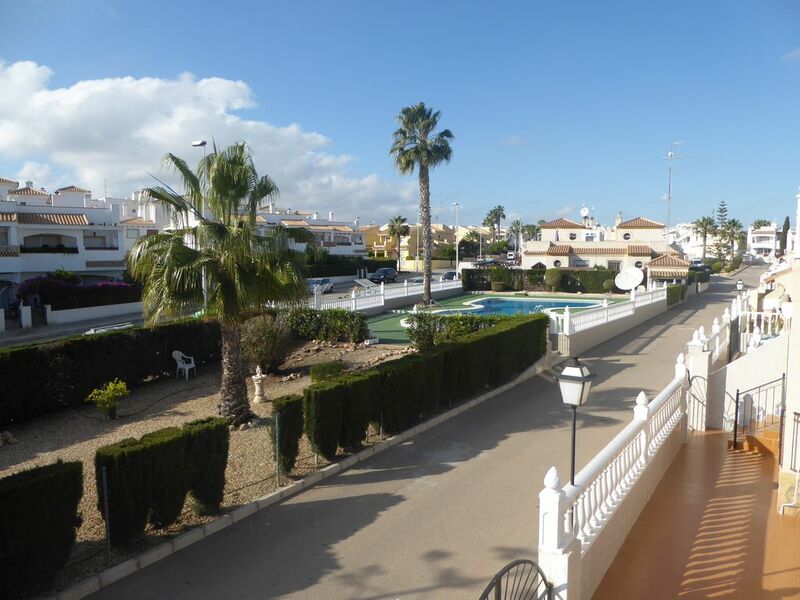 It’s approximately 6 km to the centre of Torrevieja. If you don’t like driving, the local area has plenty of facilities for shopping or pleasure. Los Dolses shopping centre has shops, restaurants, cafes and bars and is only a few minutes away on foot.